The end of our days? What We Must Do! This article was written originally during the Bush2 Admin. It is more relevant now than ever. No, George Bush did nothing good for America and nothing good for the world. While in office, his actions were undertaken solely for the benefit of our New World Order masters and the corporate executives who hold him firmly in their pockets. In the final analysis, the ultimate irony of this is that what he wrought is not even beneficial to these Fascists because the destruction of our environment and the collapse of our economic system benefits no one including the demented criminals of the New World Order. Indeed, America is ready for change but it goes far beyond just being ready because George Bush has driven a dagger into the very heart of what America is supposed to be and if his actions are not reversed, the American experiment in Republican Democracy is definitely over. Enter Barack Obama into the picture! What a breath of fresh air this man brings to the Presidency. He is intelligent, articulate, handsome, and dedicated to his beautiful family. Beyond this, he honestly wants to be a President for all Americans including those who do not have six figure incomes. Furthermore, he is black and the vast majority of us living today never thought we would see the day when a black man would be elected as our President. Americans should be proud that we are mature enough to look past the color of a man’s skin and judge a person based upon the character and abilities he has to offer in the service of his country. Truly, Barack Obama has already changed America by the very act of being elected and to further succeed all he has to do reverse and not do what George Bush did. The real issue is how committed he really is to doing this? Barack Obama is our President because he promised to bring about “change” and the areas he intends to concentrate his efforts on are the economy, Iraq, and health care. Anyone who owns a television knows this is the case and certainly a majority of us are in favor of changes in these areas. This is all well and good as far as it goes, but the reality of our situation is such that it doesn’t go very far and the truth of the matter is that we really know very little about what Barack Obama will actually do when he takes office. This is the problem with electing a populist President. He makes you feel good and proud to be an American and there is certainly something to be said for this, but substance and perceptions are two different things and it is substance that makes or breaks a presidency. Like most Americans, I was overjoyed when Barack Obama was elected President, but I had reservations because he is a member of one of our two dominating political parties. To be sure, our electoral process boils down to the party seeking power trying to convince people that they will solve the problems created by the party still in power. But the real truth, which most Americans do not understand, is that we are where we are today because both political parties collaborated and cooperated to get us here. Eight years is not time enough to entirely change where our Nation is heading, so it stands to reason that our hijacked ship of state is on a course determined by its equally culpable co-captains; the Republicans and Democrats in keeping with the wishes and mandates of our New World Order masters. Therefore, while Barack Obama focused his entire campaign upon change, a prudent citizen is more than justified in wondering just how committed to change Barack Obama really is. While no one can make this determination with definitive certainty, enough information is available to make a reasonable determination as to what he will and will not do. GOD & GOVERNMENT – There is a serious movement afoot in this Nation to breech the wall of separation between church and state. This series exposes who’s behind this movement, what’s at stake, and why the people involved are anything but Christian. THE NEW WORLD ORDER – The New World Order lays claim to the right to rule the world. This series of articles tells you what these sick people are all about, why they are the worst people to have ruling anything, and why their rule is a curse upon us all. OUR ENVIRONMENT – The New World Order is hard at work doing everything it can to destroy our environment and make life as we know it impossible on this planet. This series of articles tell us how they are going about doing this and why they will succeed. Articles & Essays: Two new articles have been added to this area of the site entitled “Gay Marriage” and “What Barack Obama Will Not Do as President” “Gay Marriage” demonstrates why the movement to keep gays from calling their union a marriage boils down to nothing more than the majority tyrannizing the minority. 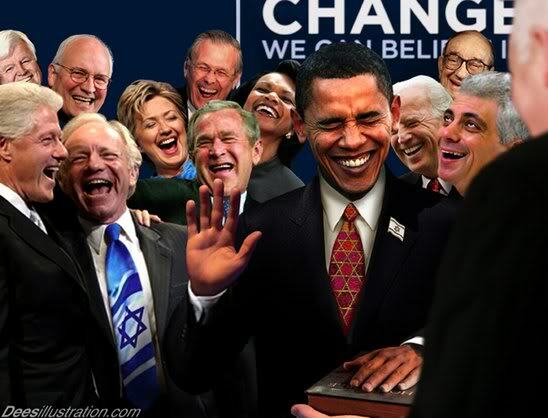 “What Barack Obama Will Not Do as President” demonstrates that when it comes to real change, Barack Obama is just more of the same because being a Democrat, he pays homage to the international criminals of the New World Order. Blast From the Past: This site contains many articles and essays most of which go unread because they are old. However, some of them are really good, well worth reading, and say a lot about what is happening to us today. Each month What’s New will bring one of these articles to your attention. This month’s article is “We Were Warned” which is a compilation of quotes by famous people warning us to look for to avoid was has happened to us. Constitution Forum contains some of the best essays and articles on government and other topics, on the web. Government is government and business is business and the two are very different from each other. A business exists solely to earn profits for its owners. On the other hand, a prime function of government is to keep the playing field level between citizens so that no one person or groups of people can take unfair advantage of others. This being the case, it should be clear that the goals of government and corporations are at cross purposes with each other. A business earns profits by exploiting its environment and seeking advantage in the market place. In contrast, governments exist to ensure that a business does not wrongfully exploit the environment, take unfair advantage of their competitors or customers, and operates in a manner that is beneficial and positive for all concerned. It should be obvious that a business will maximize profits if it is able to control the environment within which it operates. Unfortunately, it is also obvious that the best ways of doing this is to influence and control the government which is supposed to be controlling it. And there’s the rub. When a corporation is able to control its government, corruption is the order of the day and instead of properly performing one of its prime functions, the government in question, instead, aids and abets the corporation so it can wrongfully have its way with us. So it is in the United States today. Corporations have such a lock upon our government and the other institutions of our society that they are free to plunder us and our national resources at will. The situation has progressed to the point where capitalism, the goose that laid the golden egg for the people of this nation, has now become a curse upon us. Capitalists are now our masters instead of being our servants and without any controls upon them they are self-serving masters at best. Validation of the foregoing is clearly evident all around us. These include a revolving door between corporations and their controlling governmental agencies, a Medicare Prescription Drug Program that benefits drug companies more that it does program participants, a government which is hostile to environmental concerns and global warming issues, multi-billion dollar corporate contracts awarded on a no bid basis without any semblance of control or accountability, a government which totally ignores over-population issues, a monetary system primarily beneficial to its owners that is bankrupting our Nation, a government that is flooding the nation with immigrants and only pays lip service to the issue of illegal immigration, a government that is dissolving our borders and which places trade issues before and above our sovereignty, energy policies that favor and enrich energy companies, a flagrant de-regulation of corporations in all sectors of our economy, the wonton and unbridled privitation of traditional governmental functions including those of our armed forces, and the creation of a New World Order where corporations rule and hold ultimate authority over our government and economic well being. As a people, this is where we are today and this did not happen to us by accident. We lost control of our lives and government in 1913 with passage of the Federal Reserve Act which created the Federal Reserve Bank, a privately owned corporation which was wrongfully given the power to earn profits by loaning us our own money at interest. Because of this, Americans were forced to pay an income tax on the fruits of their labor which helped make the robber baron bankers rich beyond their wildest dreams. This wrongfully acquired wealth gave rise to the New World Order and its stepchild, the World Trade Organization (WTO). Incredibly, this criminal organization, by way of a simple unconstitutional legislative act, was given authority over and the power to overrule, our Congress, President, and our Supreme Court. This last statement is not speculation or fantasy but, instead, a cold hard fact substantiated by the GATT accord which states that, “Each member (of the WTO) shall ensure the conformity of its laws, regulations, and administrative procedures with its obligations as provided (for) in the annexed Agreements”. The annexed Agreements establish a procedure whereby the Ruling Panels of the WTO will be the final authority over all disputes between members. At first glance, this seems innocent enough but the true power and reach of the WTO becomes evident when one realizes that almost everything that happens within the borders of a nation affects the costs of goods sold and traded in world markets. And this includes environmental laws, laws concerning workers and their well being, laws affecting interstate commerce, etc, etc. In short, the WTO is not just a world trade organization but instead, a World Government which over time, will grow in power and control such that national origin will have little meaning other than to describe the area of the world within which a person is born. National differences and identity will become non-existent and meaningless. 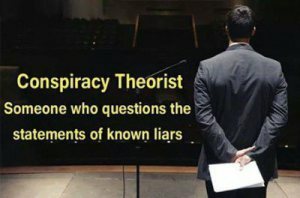 The establishment of the WTO and other sovereignty busting treaties such as NAFTA and CAFTA opened up the world for American corporations and predictable, they moved their operations overseas in droves where they could take advantage of lax environmental laws and the cheap labor of third world countries. Corporate flight progressed to such a degree that the United States is no longer an industrial nation and has now what is euphemistically called a consumer economy. This is bad enough, but concurrent with the plunder of the industrial base of this nation, corporate influence brought on a wave deregulation which, unfortunately, included our financial and banking institutions. Predictably, the loosening of financial controls brought on a housing boom as speculators kited the value of property and homes throughout the nation. This largess eventually resulted in the mortgage meltdown and market crash we presently are in. This is where America finds itself today; woefully in debt and going deeper in dept with each passing day, in a recession with no end or bottom in sight, fighting a debilitating two front war of imperialism to no ones benefit but the terrorists, and dragging the rest of the world down into the cesspool we created or more correctly, the cesspool created by the New World Order and the corporate moguls who foolishly and self-servingly thought that a return to the wild west days of the early industrial revolution was the best way to bring freedom and prosperity to the world. Many years ago, we used to subscribe to the notion of enlightened self-interest as being the fundamental driving force behind our capitalist economic system. However, of late we have forgotten the adage that power corrupts and absolute power corrupts absolutely. We also forgot that man is essentially a greed driven animal and if given the power to control his own economic environment, greed will become dominant at the expense of what is right, moral, reasonable, correct, proper, and/or enlightened. With the demise of unions, Government was the only remaining entity that could possibly moderate and control the excesses of corporations and the unfortunate truth of the matter is that corporations, through greed, petty self-interest, and the power of the almighty dollar have rendered our government useless and ineffectual for this purpose. The situation has progressed to the point where our government is no longer our government. Instead, it is a tool used by corporations and the New World Order to keep us docile and compliant while they have their way with us. Now that the inevitable collapse has come, everyone, including the corporations who engineered this mess, is calling upon government to step in and save us. How wonderful! Our industrial base is gone, inflation and war has sapped our savings, retirement funds, and purchasing power and our government in a final act of stupidity and senselessness, elects to bail out our failed banking industry by buying up its bad debt. Doesn’t anyone in government realize that it is using fiat money to buy up debt that was created by the banks with the stroke of a pen? Unconscionable, borrowing and debt brought on this crisis and to address it, our government decides to borrow more and put us further into debt so financial institutions will once again begin to loan people money they do not have in the first place. And then on top of all this, we are expected to spend more money we do not have to stimulate the economy when everything spent eventually ends up in the hands of foreign corporations. Truly, confidence in our government and our financial institutions is what is needed to get us out of this mess, but under our present circumstances, any citizen who has confidence in our government and the financial institutions which rule us is so out of touch with reality that they are certifiably insane. In 1913, our government, in violation of our Constitution, created the Federal Reserve Bank and gave corporations control of our government. We are now experiencing the inevitable fruits of this New World Order; ineffectual and dysfunctional government, gross and flagrant corruption of all the institutions of our society, dissolution of our borders, collapse of our monetary system, the plundering of our wealth and resources, and the robbing of our rights, heritage, and freedom. And now to save us, our government has been blackmailed into rewarding those who did this to us by using our money to buy up their mistakes. We, as a people, must do everything possible to restore our Republic and once again become a free and independent nation. To accomplish this, the first step we should take is to repeal the Federal Reserve Act and take back control of our money supply and economy. In conjunction with this, GATT, NAFTA, and CAFTA should be repealed and all banks associated with the Federal Reserves System nationalized. Our dept to the Federal Reserve Bank and foreign interests should be declared null and void and all foreign aid should immediately cease. We should then close all our overseas military bases and bring our troops to help protect and rebuild this Nation. Finally, criminal proceeding should be brought against those who engineered our financial collapse and turned our government into a criminal enterprise. A new beginning as described above is the only thing that will restore confidence in our government and save us and the rest of the world from the horrible fate which a fractional reserve banking system has imposed upon us. To those who decry this as being Socialism, I say that ridding the world of Fascism is not Socialism. Furthermore, there is nothing Socialistic about our government running and controlling our banking and financial institutions in keeping with the Constitution as the Founding Fathers intended. America, wake up! It is already too late for an easy solution. Soon, it will be too late for any solution. The New World Order – Friend or Foe? Here’s another extraordinary find. We will be linking our blogroll to this site also. This is an informative and well written information site that includes the writers lawsuit against the federal government over the GATT agreement.